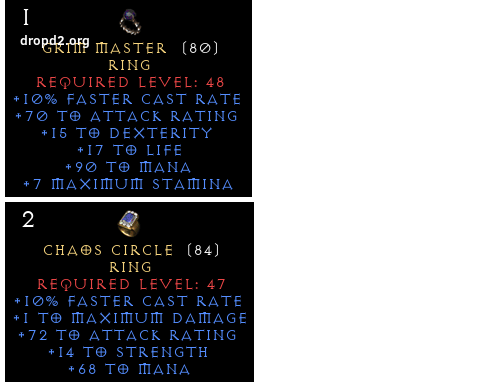 ISO > Iso: Nice Fcr Rings 4 My Bvc (barbarian Vs Caster) > Fg / Forum Gold 4 The Right Rings! I'm looking to upgrade 1-2 rings on my Barb. Not looking for anything super godly, but not looking for crap rings either. LMK what you have and what you're asking for it. Feel free to pm me or post up any rings which is close to my ISO, OR you may think i'll like. & Please keep the spam to a minimum! Thank you!